Marriott International, Inc. is a Fortune 500 company with more than 4,500 hotels and resorts in 87 countries and territories. The company, headquartered in Bethesda, Maryland, was founded by J. Willard and Alice S. Marriott in 1927. Their son, J.W. “Bill” Marriott, Jr., spent more than 50 years shaping it into one of the world’s leading hospitality companies. Marriott is consistently recognized as one of the “Best Places to Work” and leads the industry with innovations that elevate style, design and technology. All Marriott Hotels participate in the Marriott Rewards frequent travel program that allows members to earn hotel points for every dollar they spend during each stay. 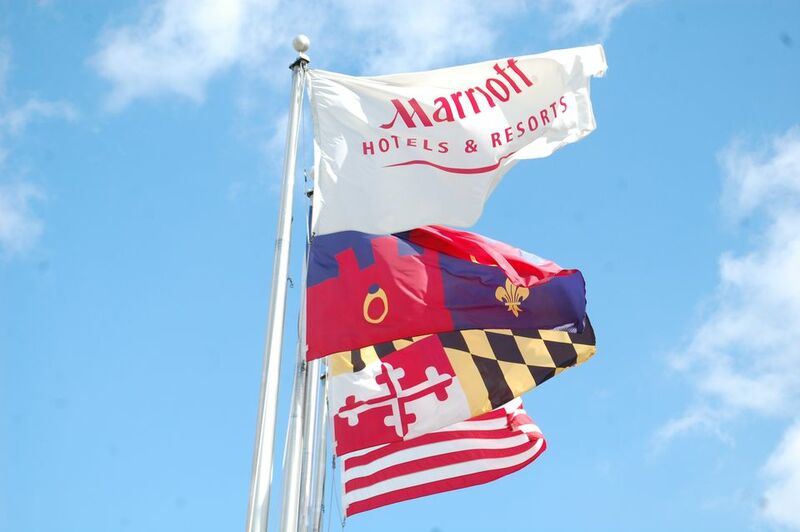 Marriott operates and franchises hotels with more than a dozen brands, each to meet the needs of different types of travelers. The brands are categorized as luxury, lifestyle collection, signature, select service, extended stay, and destination entertainment properties. Marriott Marquis is the company's newest brand with just a few properties that focus on luxury accommodations and convention and meeting space. The newest property, located in Washington DC, will be next door to the Washington Convention Center. The Ritz-Carlton Hotel Company is known worldwide as offering elegant accommodations and service. There are more than 75 Ritz-Carlton hotel and resort locations which offer fine dining, 24-hour room service, twice-daily housekeeping, fitness and business centers, and concierge services. JW Marriott Hotels are the company’s most elegant and luxurious brand providing business and leisure travelers with simple elegance, an inviting atmosphere, and a deluxe level of comfort and personal service. Bvlgari Hotels & Resorts are the leading luxury properties in the world, comprised of a few destinations in major cosmopolitan cities and luxury resorts. Each hotel is designed with an Italian contemporary luxury feel, enriched by rare and lavish materials. Autograph Collection Hotels is an evolving ensemble of independent hotels. Each destination has been selected for its bold originality, rich character, and uncommon details. Renaissance Hotels are one of the most popular brands within the Marriott portfolio. Renaissance Hotels includes more than 151 hotels in 35 countries worldwide. Each property is unique, offering an array of amenities and an inspiring world of local discoveries. AC Hotels by Marriott is a lifestyle brand within the Marriott International global portfolio with more than 75 hotels throughout Spain, Italy, Portugal, and France with more than 50 additional hotels set to open within the next three years throughout the U.S. and Latin America. One of the first to open in the U.S. is the AC Hotel at National Harbor. Marriott Hotels & Resorts offer 500 diverse locations worldwide that offer a comfortable stay with intuitive guest rooms and tech-enabled meeting spaces. Courtyard by Marriott offers convenient locations throughout the world featuring spacious rooms, plush bedding and high-tech amenities, plus breakfast, dinner, and cocktails at the Bistro in select locations. SpringHill Suites by Marriott are all-suite hotels infused with stylish spaces and inspiring design. Modern amenities are available at nearly 300 locations. Fairfield Inn & Suites by Marriott are comfortable, affordable and reliable business hotels providing everything you need to work productively, maximize down time, eat well and sleep soundly. Residence Inn by Marriott is designed to provide extended stay travelers with everything they need to thrive on long stays. Residence Inn offers spacious suites with room to eat, work, and sleep. Guests enjoy complimentary breakfast, Wi-Fi, evening socials and grocery delivery service. TownePlace Suites are built for the extended stay traveler who appreciates value in a relaxed and productive environment. The properties feature modern spacious suites with full kitchens, free Wi-Fi, free breakfast and friendly staff. Marriott Executive Apartments offer stylish apartment living and premier hotel services for stays of 30+ nights. The properties include spacious floor plans, gourmet kitchens, housekeeping, and grocery delivery. Gaylord Hotels are newly owned by Marriott. They are a world-renowned leader in resort experiences that offer guests breathtaking vacation and convention options. From the scenic banks of the Potomac in Washington, DC to the lively heart of Music City in Nashville, Gaylord Hotels celebrate the heritage of their destinations. Each Gaylord Hotels resort blends magnificent settings, luxurious rooms, and world-class entertainment.